Roof and drains wrecked dud to snow & ice created leeks in the house,took 2 days for the new roof to be out on,they did an excellent job,thank you so much. 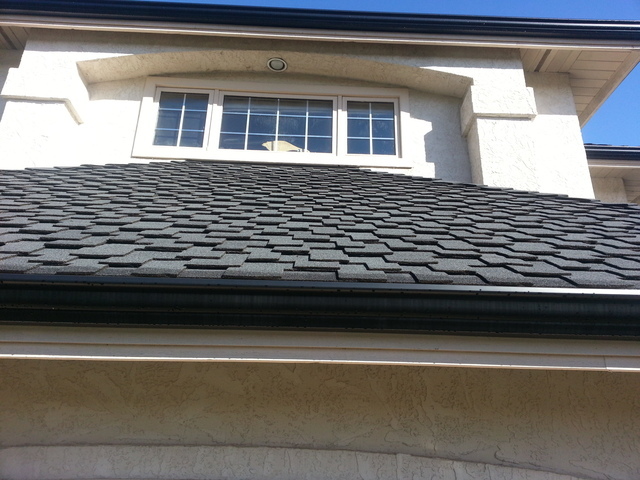 We needed a replacement on the flat part of our roof and to repair a leaky corner. Jeremy recommended a new torchon covering and suggested adding a slight slope in three directions to allow it to drain properly. It was completed in four plus days. Workmanship was excellent. Within a week of completion, we had a heavy shower to test out the new sloping roof. It drained perfectly. Thanks Jeremy for a job well done. Excellent service! Price was reasonable and workmanship was exceptional! I would definitely hire Jeremy and his crew again if I need any roofing work done. Work done was re-route two bathroom fan exhausts to vent directly out the top of the roof rather than from the side of the house (exhaust was rising through the soffits causing some condensation in the attic). Gutter drain rails were also added to take water drainage away from the house. Contacted 3 companies to provide a quote to re-shingle the roof on our property. 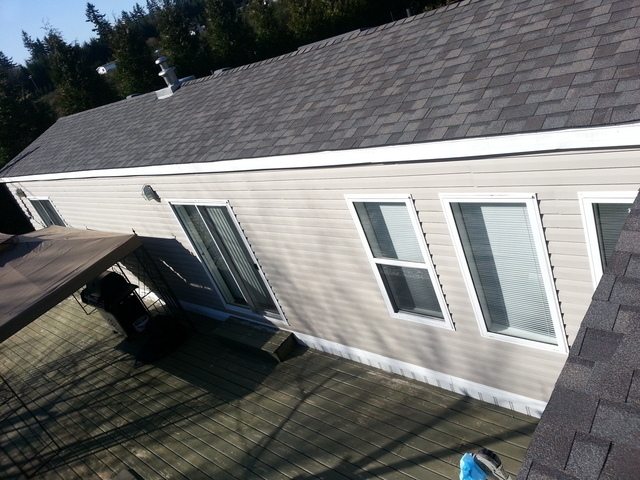 Shores Roofing promptly contacted us, came to site and reviewed our requirements. They made recommendations that would prolong the longevity of the roof as well as offered different pricing alternatives. Very professional staff that reviewed their quotes in detail with us making sure we completely understood their offerings. We chose them because of their professionalism and were very impressed with the quality of work and the cleanliness of the site after job completion. Pricing was competitive. They followed up with a phone call and site visit to make sure we were happy. 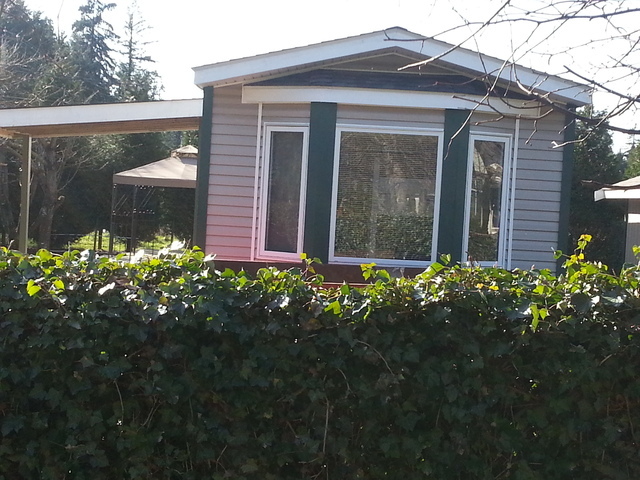 Pacific Shores Roofing did an excellent job on a new roof, facia boards and new gutters.Jeremy and Richard were very professional and a eliminated any stress and concerns I had about the work they did.Their crew was polite and skilled. Cleanup during and after completion of the job was exemplary. I highly recommend this company! Pacific Shore Roofing did an amazing job converting my run down torch-on roof to shingles along with replacing fascia boards, they also redid shingles and fascia on a shop. Jeremy and Richard listened to all my concerns about what I wanted and also repairs that should be done, and when extra problems were discovered went over them thoroughly with myself so I understood what should be done and they were then quickly repaired. The crew was one of the best I have ever dealt with, very efficient and attentive to details, happy lot and also advised me when small repairs needed to be completed, along with the ones that were already being done. The cost of the job was very reasonable and I am very happy with all that was done, the property was also left spotless after all work was completed, I would recommend them to anyone. S.P. Richard provided a detailed estimate and explained all the work required.He went over everything thoroughly and answered all our questions. The crew did a professional job, and worked together very well. They arrived when expected and cleaned up every day. They protected everywhere during the roof removal, moving everything out of the way and putting it back afterwards. We would be happy to recommend Richard and his crew. AJ it was a pleasure working with you and Heather. Thank you and I will let the guys know what you have said. The estimate submitted was very pleasing as all the details discussed were covered.The crew that performied the conversion from cedar to Fibreglass shingles were very professional and exacting in their work. They were polite and helpful and were not intrusive in any respect. The site was kept clean with no mess left at the end of the day. They took great pride in their work and made extra efforts. The attention to detail was remarkable. I would not hesitate to recommend them.The full crew was in attendance and on time every morning. The project was completed promptly. Andy was the guy in charge and kept tabs on the crew.Matthew did the critical fitting very conscientiously and well. The operations manager Richard was on site frequently to ensure the crews had what they needed and kept us informed. It was a pleasure to deal with them. Larrie, I will relay what you have said to the guys. It is appreciated that you noticed the work we put into the detail and care we took. Jeremy and crew were very professional and courteous. 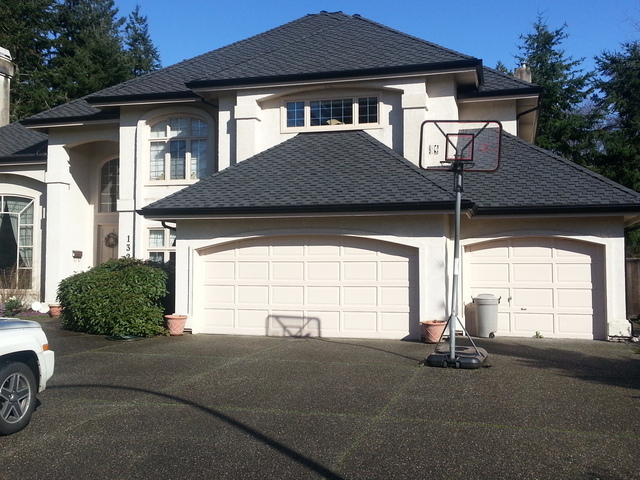 They offered expert advice, started and finished on schedule, and left a clean worksite which is a refreshing change from other roofing companies. 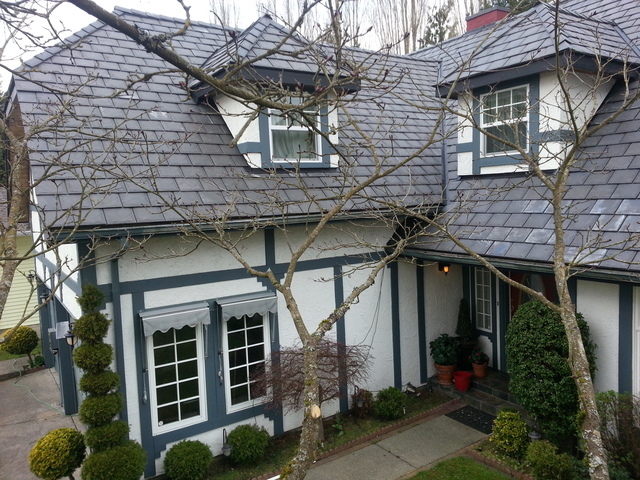 Pacific Shores Roofing Company offers new and replacement roofing in the greater Vancouver areas mainly servicing the communities of Langley, Surrey and White Rock. From the ease and flexibility of booking your appointment, selecting the right products, through to delivery and installation of your new roof, our friendly and knowledgeable staff are ready to make your roofing experience as easy, pleasant and informative as possible. 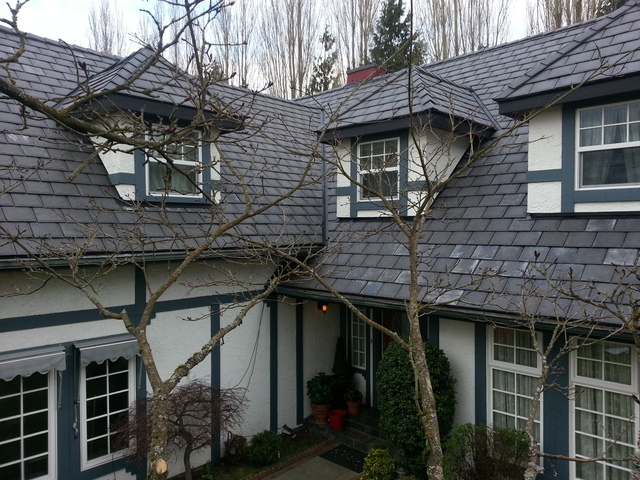 Pacific Shores Roofing Company is committed to providing you with all the facts about your roofing options so you can comfortably make a highly informed decision regarding your new or replacement roof. Your peace of mind is of utmost importance ensuring your confidence that you've made the right choice for your home.